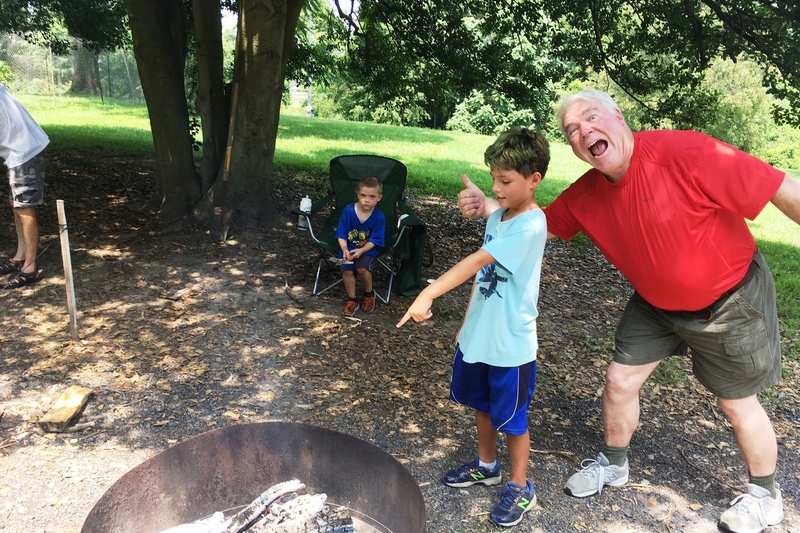 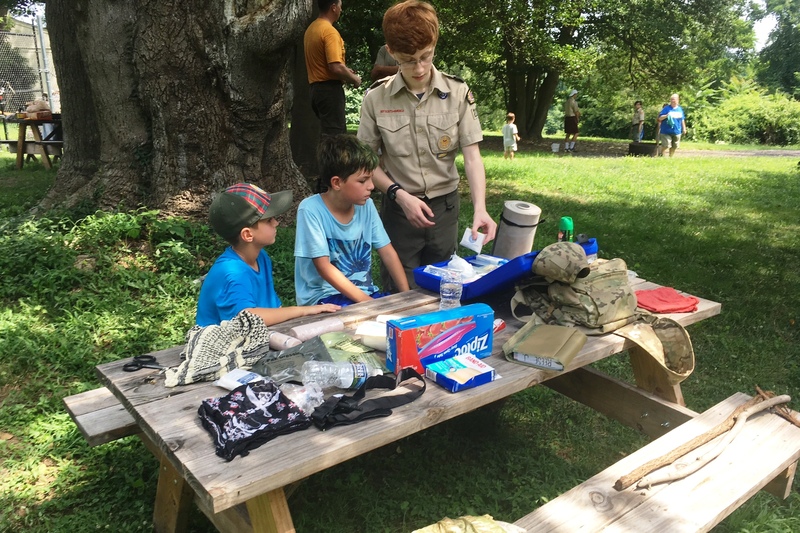 On 21-22 July, Cub Scout Pack 2214, out of Cape St. Clair partnered with Boy Scout Troop 2214 for a camping overnight, community service project, and skills learning event. 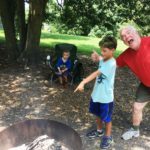 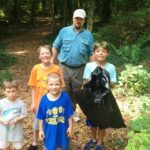 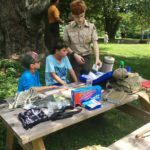 Six cub scouts made it through the hot and humid night on the lower pasture of Goshen Farm and then woke up, made breakfast and completed a community service project of cleaning the local trails around the acreage. 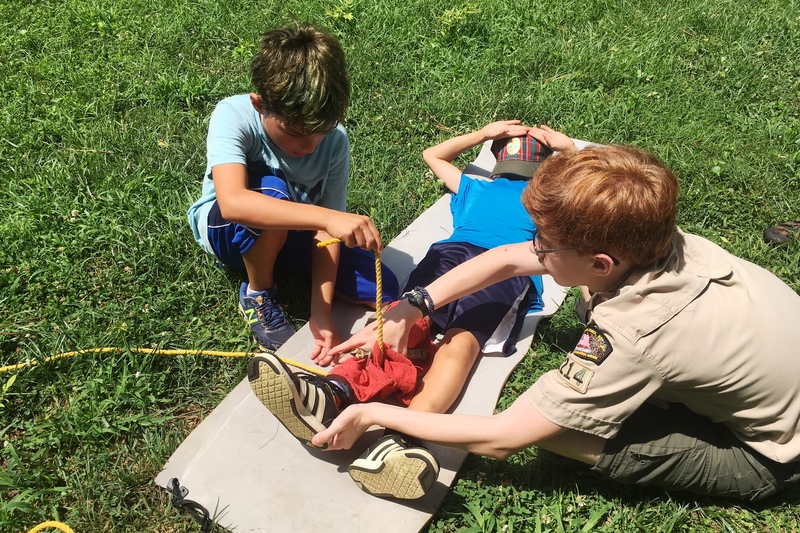 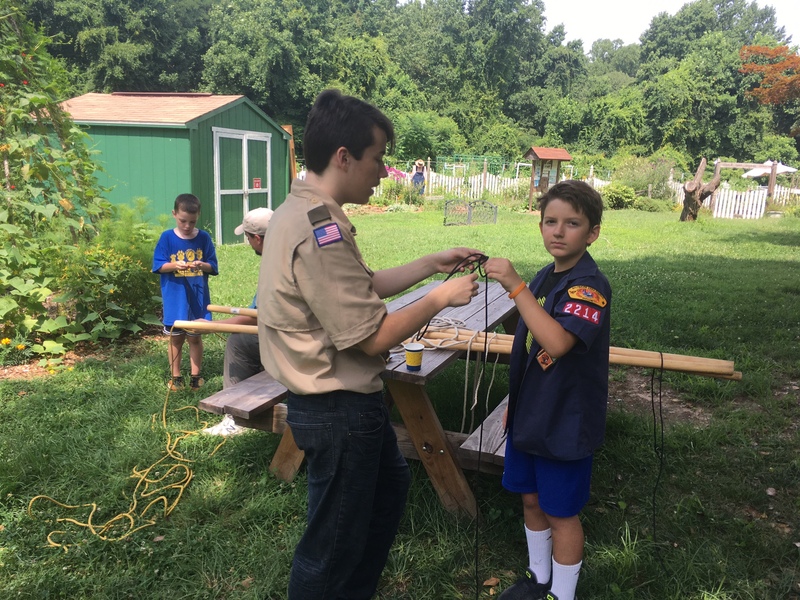 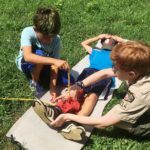 Four boy Scouts from Troop 2214 joined the pack and taught the cub scouts how to make a campfire, identify and create their own first aid kit, and tie some knots for creating handy devices/ gadgets on a camping trip. 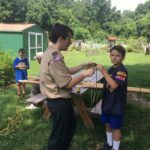 Overall, the scouts had a great time and learned a lot right here in the middle of their own community.